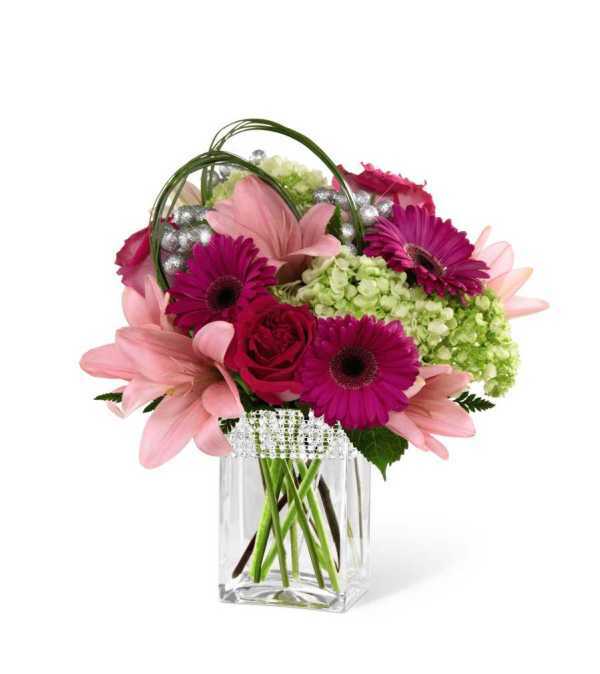 The FTD® Blooming Bliss™ Bouquet showcases blushing blooms and definitive style to send your special recipient a gift blossoming with heartfelt happiness. Hot pink roses and gerbera daisies are a standout in this bouquet surrounded by pale pink Asiatic Lilies and the alluring texture of green mini hydrangea blooms perfectly accented with bear grass blades and lush greens to create a simply stunning flower arrangement. 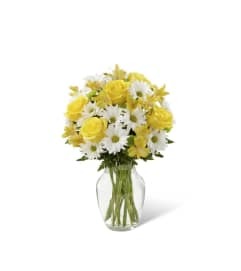 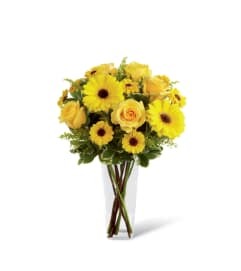 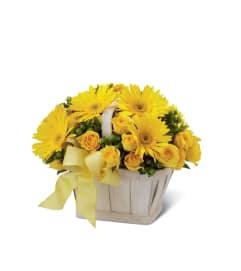 Presented in a clear glass vase with silver beading lined at the top, this mixed flower bouquet is that perfect expression of love and kindness to send in honor of a birthday, as a way to express your thanks and gratitude, or in celebration of an anniversary.